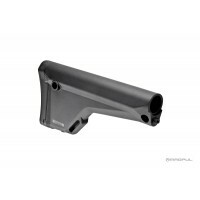 The Rogers Super-Stoc™ (commonly called theSuper Stock) is the ultimate refinement in AR/M4 stock technology. 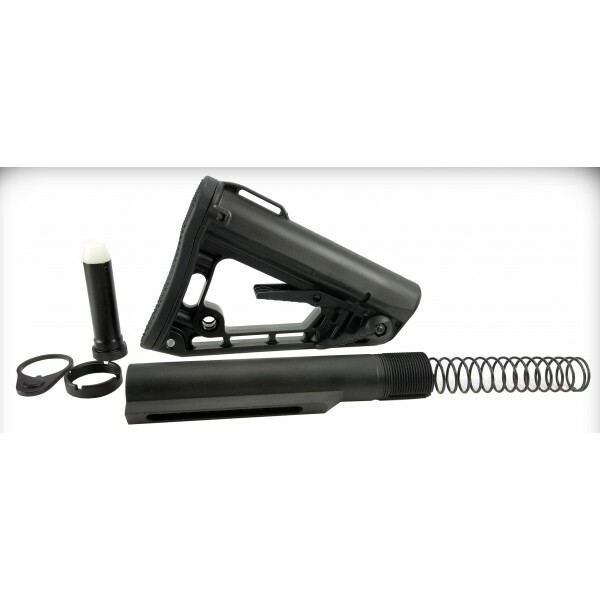 The Rogers Super-Stoc™ is the most stable, collapsible stock available due to the innovative cam-lock system developed by Bill Rogers, famed shooting instructor, inventor of holsters, target systems, and other related products, and his staff of engineers. 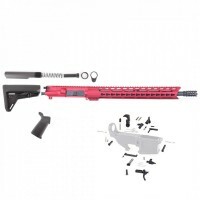 The cam-lock system completely removes any slop or play inherent with collapsible stocks. Once the desired stock position has been selected, the stock can be locked down solid simply by clicking the cam-lock lever upward. Pressing the quick-release lever will disengage both the cam-lock, and the detent pin, allowing you to quickly readjust the stock position. The innovative Rogers Super-Stoc™ also removes the guesswork involved with buffer tube sizes. 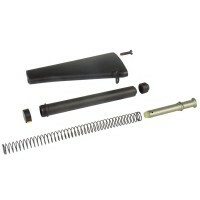 The stock will fit both a Mil-Spec sized buffer tube as well as a Commercial sized buffer tube with a few simple adjustments. Weighing in at only 7.3 oz, it is among the lightest stocks available, but rugged enough to pass a 36″, fully loaded drop test. 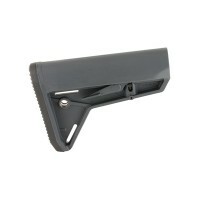 The Rogers Super-Stoc™ is simply the best collapsible stock for your AR style rifle. 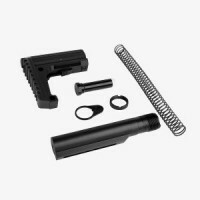 This is a COMPLETE Rogers Super-Stoc™ Kit and it includes a Mil Spec Diameter Buffer Tube, Carbine Length Spring, 3 oz Buffer Weight, Castle Nut and End plate.